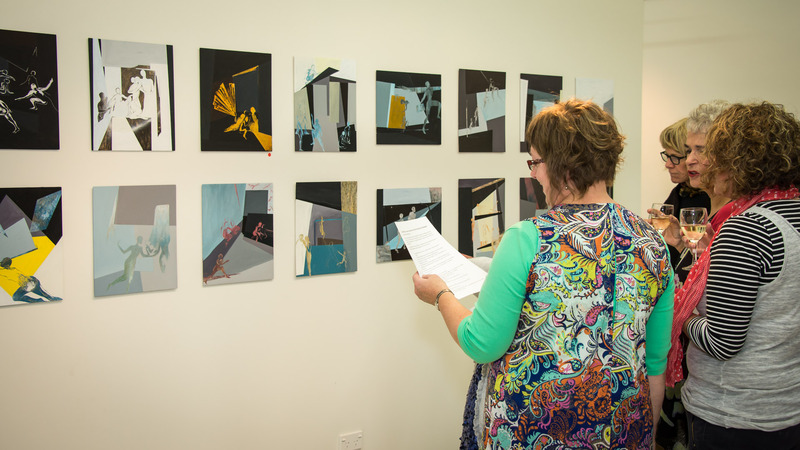 Arts in Oxford is delighted to be showing works by two local Oxford artists during the month of June. 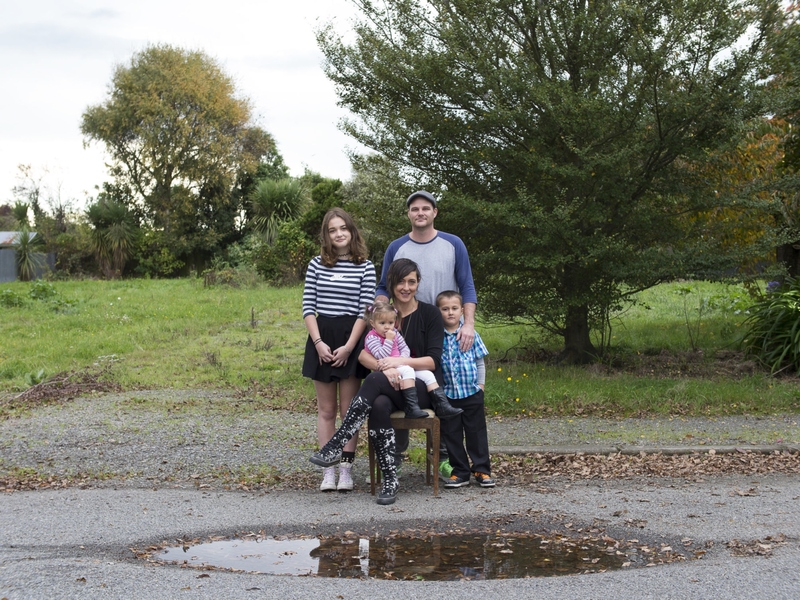 Photographer, filmmaker and radio producer, Cosmo Kentish-Barnes has shot candid portraits of red-zoned Kaiapoi residents at the empty or abandoned properties they once called home, in his exhibition “Still Here”. Running in conjunction is “Location” featuring mixed media artworks in oil stick and acrylic by Sarah Kentish-Barnes (nee Fitts) in which she breaks down her experience of the earthquakes into a series of moments, showing her changing sense of Self and Place since September 04, 2010. 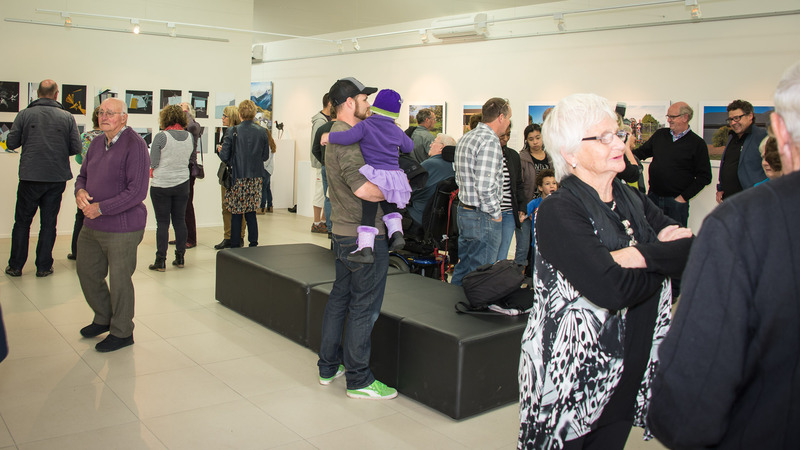 Photographs below were taken during the Opening.